Architect Louis Kahn once described city streets as ‘living rooms’ made by communities, dedicated to the city for everyone to use. Their walls are donated by the residents, their ceilings are the sky. Sadly for Cape Town our city street ‘living rooms’ are usually segregated and kept private for local use only. The possibilities for us to connect with each other are limited by the lack of space where streets are opened up to all. Yesterday the community of Langa generously gave up some if its ‘living rooms’ to each other and to the people of Cape Town. 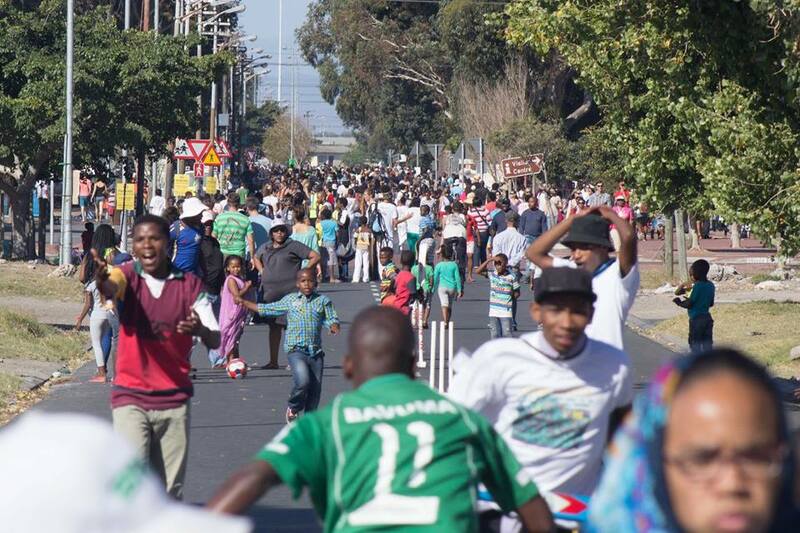 About 1.5kms of Washington Street, Rubusana Street and Jungle Walk were closed to traffic for the afternoon and the result for those who came was a very rare experience in Cape Town – people from all walks of life coming together and enjoying an afternoon in each other’s company without the usual pressure to pay for tickets or buy stuff. 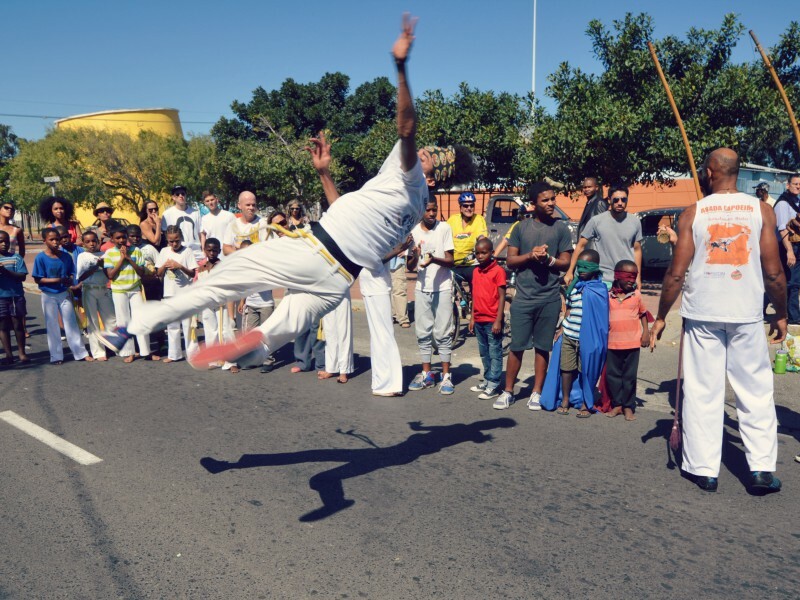 The exercise of preparing for Open Streets Langa was enriching and challenging for those involved. 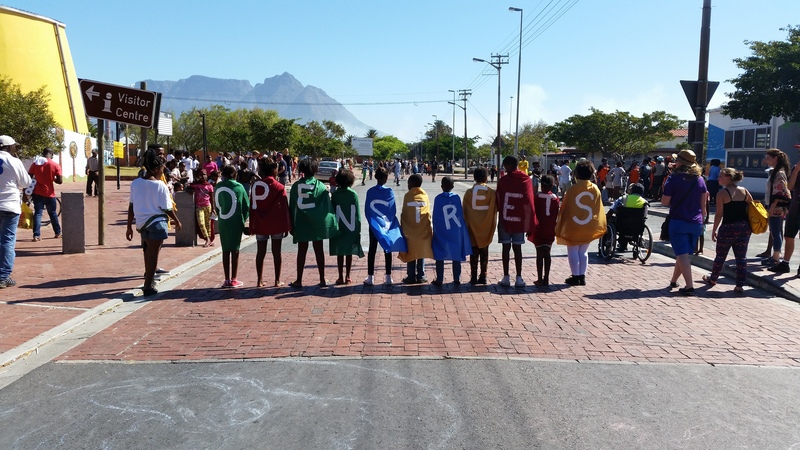 This was the first Open Streets day in a township and many concerns were raised in the build-up to the day. At times it looked as if these concerns could derail the event. Fears about crime – as a result of drinking on the street – and worries about security more generally were the most prominent anxieties expressed. The broader public perceptions of townships were difficult to address. 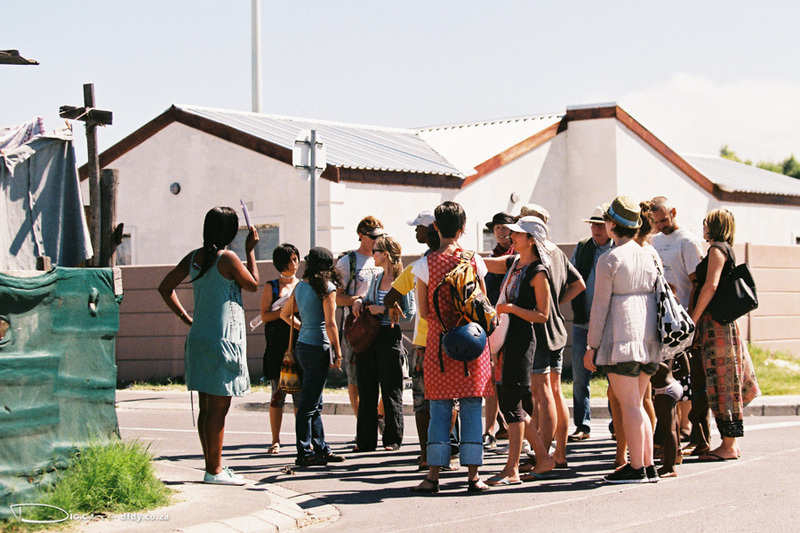 There are many Capetonians who consider townships to be scary places, and struggle to imagine visiting one. Support was put in place to allay the fears of visitors (accompanied train and taxi rides and a magnificent ‘bike bus’). Hundreds of visitors chose these options. There was also organised parking and a meet-and-greet service to drivers by our volunteer team. As far as behaviour on the street we were quietly confident that the fears would prove groundless. After five Open Streets Days we have learnt something about human behaviour. 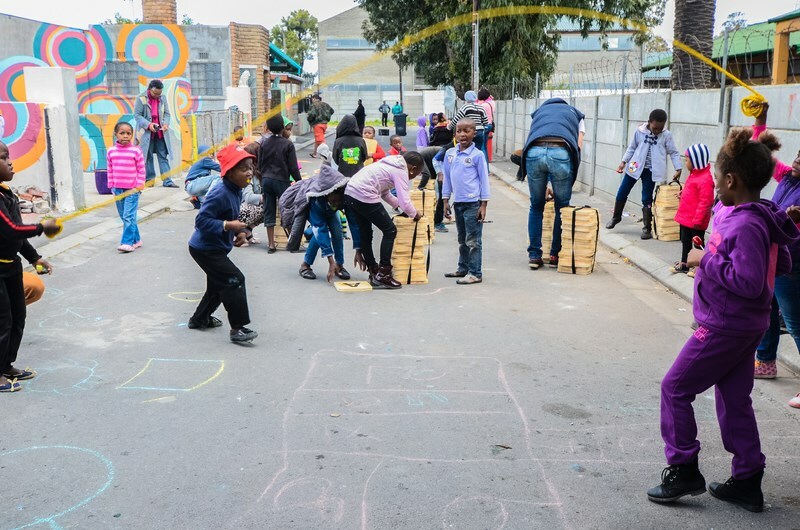 Removing cars, slowing things down and adding plenty of children onto a street has a neutralising impact on aggression and anxiety, and generates a sense of possibility and playfulness, if only for a short time. Once again this has proved to be the case. Read more here about making a donation.